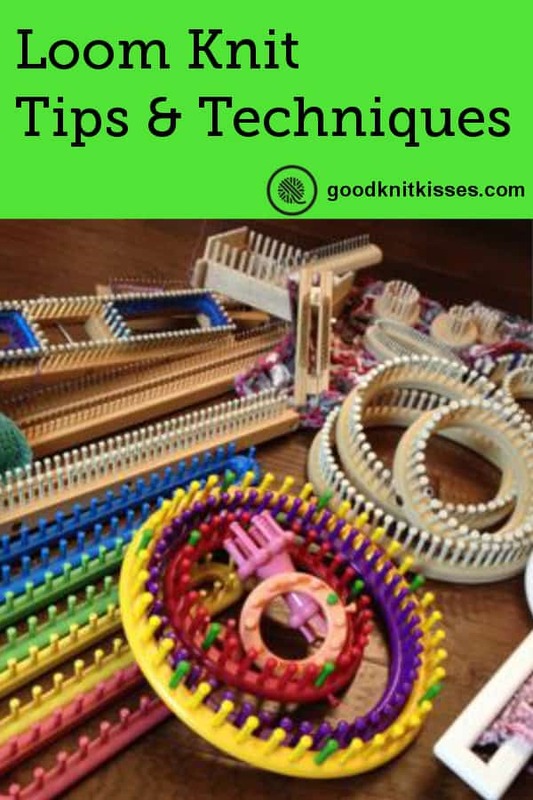 Below you will find videos for loom knitting techniques from GoodKnitKisses. Be sure to scroll through the entire playlist to find the right loom knit technique for you. This is not meant to be an exhaustive list of all the videos and tutorials that Kristen has done, but it’s a list of special techniques and tips unique to loom knitting. To see a list of all videos and playlists be sure to subscribe to GoodKnit Kisses on YouTube. (I put a handy subscribe button over on the sidebar for you.) Make sure you go to YouTube for new videos every Friday and Sunday! Let’s start at the very beginning! These two videos are an introduction designed for those that have never loom knit before. They answer some of the basic loom knitting questions. In loom knitting, unlike needle knitting, we have many ways to work a knit stitch. This video teaches the difference between the stitches and how to knit each one. This playlist contains some basic cast ons, bind offs, stitches and easy projects for beginner loom knitters. There are dozens of blanket patterns available for the loom. These are just a few to give you some ideas. The video collection shows a few ways to finish off a hat. Decreasing your stitch count for a few rows before you bind off reduces the bulkiness on the top of the hat and makes it easier to close. Many people love the look of earflaps for photo props, for fashion or simply to keep ears warm. Learn how to calculate that formula and apply it to the loom you need. Take loom that knits in the round (a circle or rectangle or square all work) peg count. Flowers make great embellishments for hats, blankets, headbands and more. I hope you enjoy this collection of loom knit flowers. Pom poms are traditional hat toppers, but you can use them for so much more! 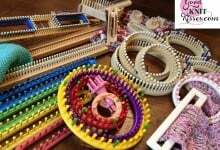 S looms allow loom knitters to work on a large project that requires lots of pegs. This playlist shows you a few different ways to use your S loom. Spool looms are the classic small looms that many of us learned to use as kids. These little looms are great for making cording. It’s math time! When you need to know how many stitches to cast on or how many rows to knit GKK has your back! And the classic question of how much yarn you need to complete a project is right here. The Ten Stitch Blanket pattern is a classic for loom knitters because unlike other blankets that require lots of stitches you never need more than 10! The calculators below will help you figure out how big your blanket will be and how much yarn it will take. How can I make a loosely knit scarf on a knitting loom?